A Black Country woman has revealed plans to double the size of her business within three years following a surge in demand. Arford Steel Profiles have enjoyed fresh levels of trade since bringing in plasma technology towards the end of last year. Now owner Diane Kimberley is looking to build on that momentum with plans to increase turnover to record levels. She is predicting growth of 20 per cent in just 12 months and is hoping the trend will continue in the years ahead. Turnover at the company’s Kingswinford site has increased to £2.5 million since Ms Kimberley took control in 2006. But she now wants to double that figure by 2017 with further major investment on the cards. “Our figures have been strong since the third quarter of last year and we’re really optimistic about the future,” she said. “We’ve spent a lot of money on new machinery and that has given us a perfect platform for sustained growth. 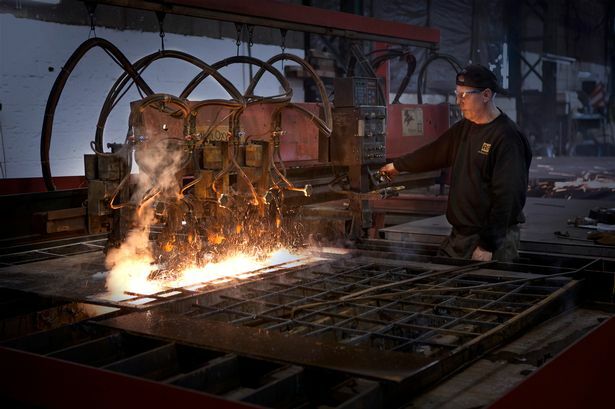 Arford invested £300,000 on high-tech plasma cutting equipment in October and have been reaping the benefits ever since. “The new machine has had a huge impact on the business,” said Ms Kimberley. “It increased our overall capacity by 35 per cent at a stroke and immediately made us more responsive to customers."